The Lady Berries participated in Live United Day 2017. 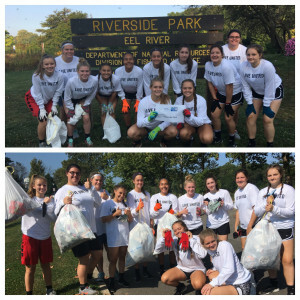 The team’s assigned area was Riverside Park and players helped clean up the park and River Bluff Trail. The program wants to thank Chris Armstrong with the United Way for the opportunity to serve their community. Also, a special thanks for The Church of Christ at Logansport for providing an amazing lunch to the team after a morning of hard work.